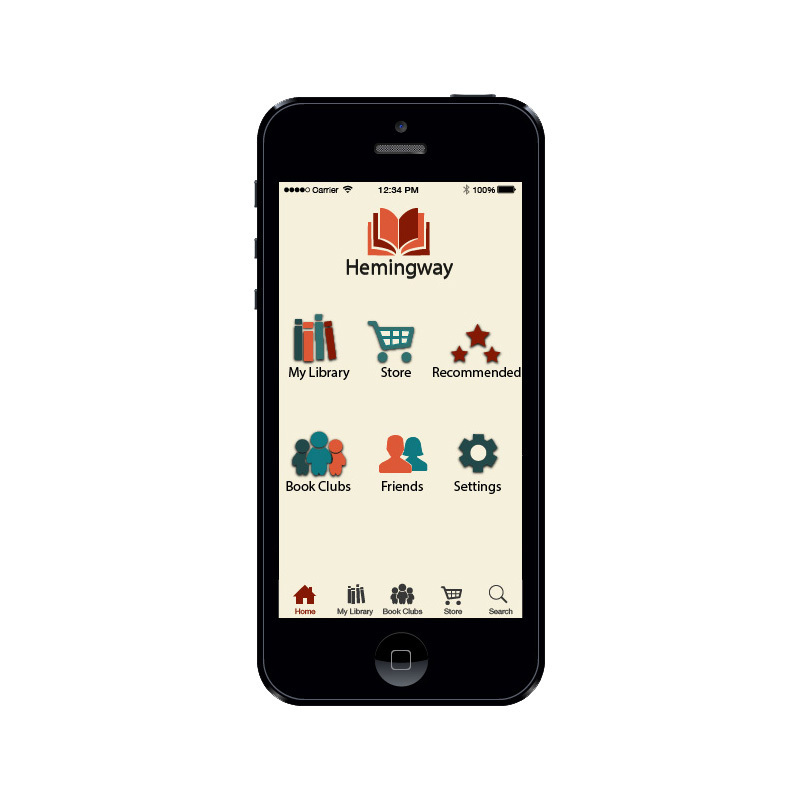 Hemingway is a concept mobile app that facilitates book clubs over the phone. The inspiration for Hemingway came after a series of interviews where we learned that many commuters see their commute time as a time of reflection and relaxation. We began the project by conducting interviews with our peers and strangers to gain insight into different types of commutes and the thoughts and feelings people had toward their commutes. From these interviews we captured our findings and synthesized them through affinity diagramming. We found that people didn't simply treat their commute as a chore or something they dreaded, but thought of it as a time to be apart and gather their thoughts at the beginning or end of the work day. This came as a surprise to us, and we saw this as an opportunity. 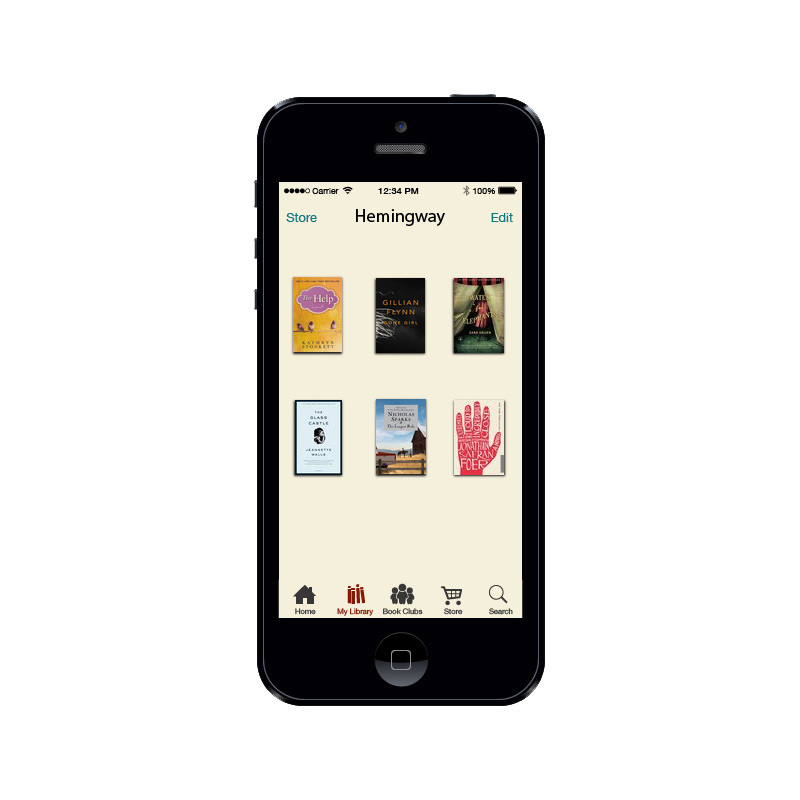 We decided to create an application that allows book lovers to participate in book clubs from a mobile device. Our personas and mood board guided the emotive message we wanted to convey through our application. Our personas spoke to individuals with busy lives that took advantage of their commute as a time to be apart. The mood board conveys a homey, earth-toned based feeling that is explorative and at times spontaneous. The purpose is not only to celebrate books, but contemplation and life itself. We wire framed a lo-fidelity prototype and received feedback to drive an iterative process. As well, we created animations to present an initial prototype demo.